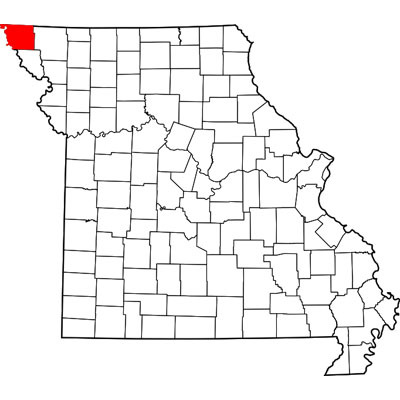 Atchison County is located in Northwest Missouri in the United States. Its county seat is Rock Port. The county was organized February 14, 1845 and named for U.S. Senator David Rice Atchison from Missouri. Cemeteries of Atchison County, Missouri are located across the county. Listed here are cemetery records that have been published online. Atchison County's western boundary for the most part is the Missouri River and Nebraska. An 1867 flood straightened a bend in the river north of Watson. As of the census of 2000, there were 6,430 people, 2,722 households, and 1,777 families residing in Atchison county.